We want to keep you posted and publish occasional newsletters that can include news, information, opinions and data. Read everything we know. YourShare.biz, which offers resort and owner direct vacation rental bookings for timeshare properties announced today that it has opened a new website Blue Heron Holidays for the Blue Heron Condos on Washington State's pristine Hood Canal. Participating homes are advertised on the custom built full ecommerce website at BlueHeronHolidays.com and on hundreds of prominent websites worldwide such as VRBO, Booking.com, AirBnB, Expedia and more. 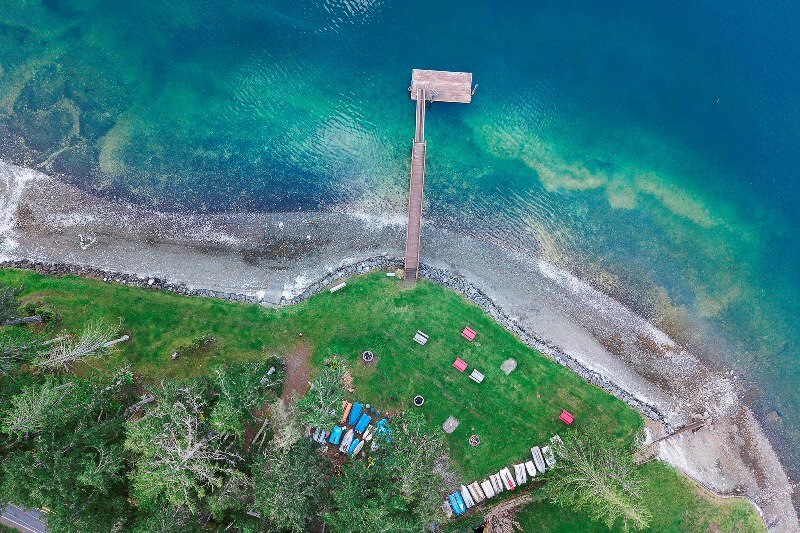 For a century the Southwest corner of Washington State, the Southeast corner of Hood Canal has been the private get away for the rich and famous of Seattle's and Western Washington State including such luminaries as Bill Gates and the Nordstrom retail family. Four decades ago, a stunningly beautiful condo resort complex was built and named Blue Heron after the magnificent birds so abundant in the area. The Blue Heron Resort features 26 one, two and three bedroom townhomes surrounding a large lawn common area, complete with towering evergreen trees. At its center is a large year-round pool, hot tub, community center, lounge, sports facilities, gym and sauna. But folks flock to Blue Heron for its own private beach just across the State Route 106. There owners and guests can launch a boat, pick oysters, go water skiing and swim in the crystal clear salt water. Owners at this resort get an impressive eight weeks use per year and get full weeks every sixth week of the year. With so many weeks to choose, owners can put their unused dates into the Yourshare program and get great income for dates that previously went unused. Yourshare's innovative program offers greater marketing than most timeshare resorts can accomplish and they do it for a lower commission fee. Owners only pay a fee when their dates are booked. There is no enrollment fee, a long term contract is not required and Yourshare handles all details such as advertising, reservations phones, guest and owner services. BlueHeronHolidays.com allows guests to discover one of the Northwest's most stunning locations for family getaways and romantic rendezvous. Now they can book instantly online at great rates and friendly service. For the resort itself, every guest becomes a possible new owner in a majestic Northwest resort which most did not know existed. Now, they can try it by renting before buying into the membership. To book online go to BlueHeronHolidays.com or call 360-614-3191 open every day of the year.